The Berkeley is the oldest pack in the country and is one of the very few that are still family owned and the property of the Berkeley family. The Fifth Earl of Berkeley could hunt his hounds from Berkeley Castle to Berkeley Square in London and had six kennels along the route. The season would start in Berkeley and progress to each of his kennels to London and then in stages back again to Gloucestershire. The present kennels date from the early 18th century and are home to around 90 hounds. The Hunt rests between the River Severn in the west and the A46 in the east where it borders the Duke of Beaufort’s Hunt. The Vale of Berkeley is legendary for its wonderful grassland, imposing blackthorn hedges and deep rhynes (ditches) which crisscross the country, however there is something for everyone here which makes it very popular with riders and followers to hounds of all descriptions. 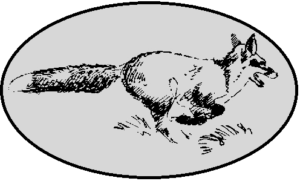 The yellow coats with green collars and the running fox on the lapel, that you see today, are worn by the Masters and Hunt Staff and are unique in hunting circles, representing the outdoor livery of the Berkeley family whereas the ladies colours of navy and maroon represent the indoor livery. The Berkeley has had many legendary huntsmen. In recent years Chris Maiden was huntsman for 26 seasons succeeding Tim Langley who followed Harry Scott. Will Rawle showed wonderful sport and the great Thomas Oldacre was Huntsman to the Fifth Earl of Berkeley. The present huntsman is Michael Stokes. There are many supporters of the hunt which usually has 80-100 mounted followers on a Saturday and 40-50 mounted on a Wednesday. Typically the hunt will organise over 20 events a year including its own Point to Point. Hounds will also visit an average of five shows in the summer months as well as providing help to its two branches of the Pony Club, the Berkeley Hunt Pony Club and the Berkeley South Pony Club.